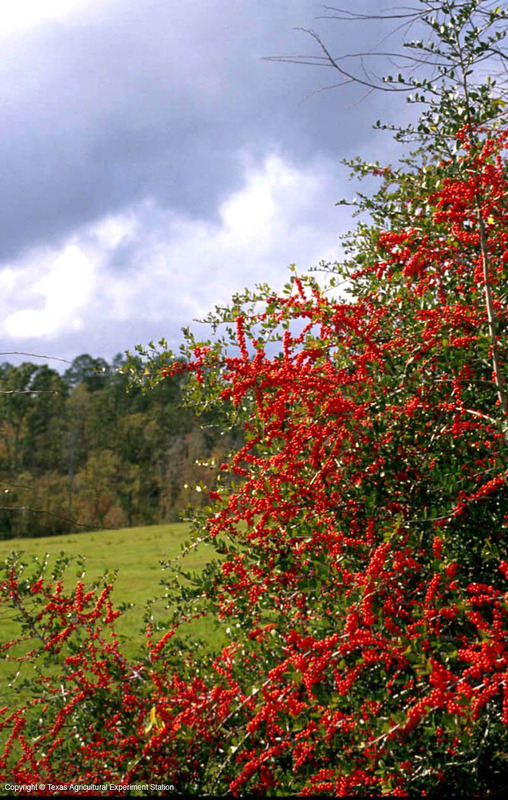 Yaupon is probably the most versatile evergreen holly for general use in Texas. It grows on almost any soil type and in sun or shade, although it is found naturally in low, moist, acid woods. It is drought tolerant but can also survive temporary poor drainage. 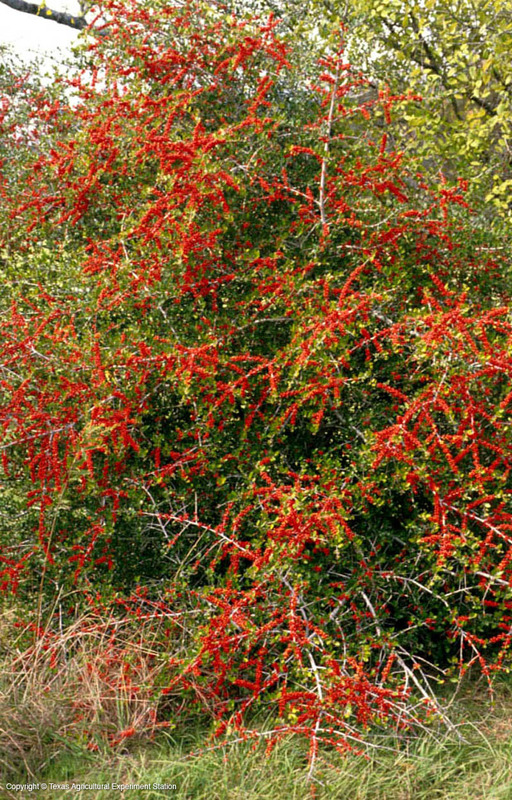 In the wild it is a thicket-forming large shrub or small tree. In landscapes it can be single- or multi-trunked; it has attractive pale white to gray bark. 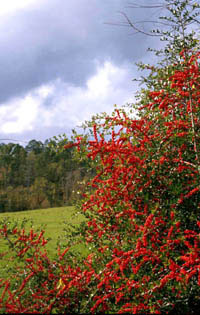 The fruits that appear in late summer and fall are very ornamental, generally red but sometimes yellow to orange, and are eaten by many birds, especially after freeze-thaw cycles. Height: Typically 10 to 20 ft., but individuals can range from 4 to 30 ft.
Width: 8 to 12 ft.